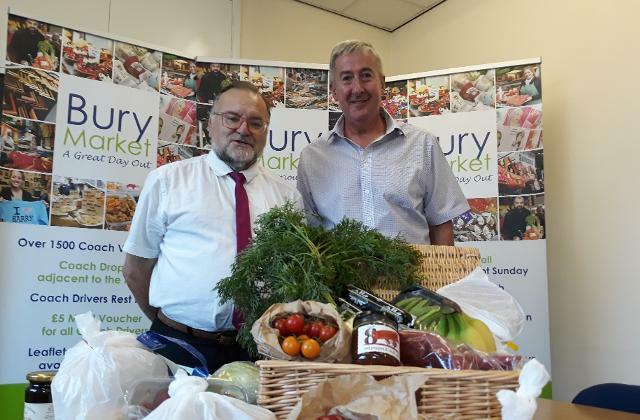 Congratulations to John Armitage from Halifix who is the most recent winner of our Hamper Competition on the Bury Market Website. John from Halifax had 50 words or less to say what he liked about the Market and he said, "The value, the atmosphere, the northern friendliness. Even though it is, unfortunately, in the Red Rose County, Bury Market takes the prize for a genuine shopping experience. A Grand Day Out!" All the best John and we hope you enjoy the Lancashire Fayre! If you want to win a hamper enter the competition on our homepage.